This is my first Jean Plaidy audiobook and the fact that I had already read the book (more than 3 years ago) did not diminish my enjoyment of the story. I’ve been reminded why Plaidy’s version of the Tudors is my favorite, and for the same reason I like all of her books: they mix political intrigue perfectly with the character’s personalities and offer excellent explanations as to the thoughts and actions of those characters. 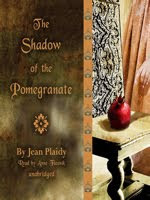 The Shadow of the Pomegranate is the middle book in the Katharine of Aragon trilogy, the first being Katharine the Virgin Widow and the last The King’s Secret Matter. Though it is in a trilogy it reads as a stand-alone, beginning shortly after the marriage of Henry VIII and Katharine of Aragon. The foundation of Katharine’s relationship with Henry is laid, while she watches him slowly change from petulant boy to tyrannical man. She holds her place firmly in his affection until the perfidy of her father – using Henry to pay for his wars, while promising him conquest for England – and, of course, her many failures at producing the male heir Henry so greatly desires. This novel covers the European powers of the time, from the Emperor Maximilian, Ferdinand of Spain and Louis XII of France to Charles V and Francois I of France. Henry’s disastrous early campaigns to gain territory in France and Katharine’s great defeat of the Scots are expanded upon, but there is also much intriguing in the court between courtiers , statesmen (like Cardinal Wosley) and the foreign ambassadors trying to rise in favor and in the process degrade one another. I really enjoy a book that can tie all of these together to make an intriguing story. As usual there are mini-stories happening in the background to explain the actions of the main characters. A relationship between a peasant woman and one of the King of Navarre’s secretaries claims a chapter of the book in order to explain how his schemes were found out by Ferdinand and thus a war was started which robbed Henry of his desired campaigning on the continent. I marvel at small details like this because it is the product of such immaculate research. As for the format, I really enjoyed listening to this book being read on my commute to and from work. Anne Flasnik is an excellent narrator and I plan to buy more Jean Plaidy audiobooks read by her. She can flawlessly execute a different voice for each character – so feminine for the ladies and a deeper tone for the men. She also has a gift with pronunciation and foreign accents. I have nothing but praise for this book and hope to own more Plaidy on audio soon! Considering the time I spend in my car driving kids to and fro- I think I should really give audio books a try. And what better way than to start off the experience with a Plaidy! 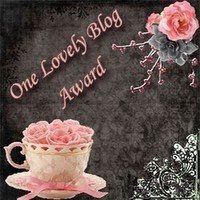 I love your review Arleigh and the fact that this one can be read without having to go in order through the trilogy is great. I do love the part about mini stories within the story (I secretly believe that's what gets me hooked every time...like a short gossip privy;) Thanks! I have found audio books to be my savior on my hour drive to and from work - otherwise I would get bored of my music. I haven't had any plaidy audiobooks - mostly because my library doesn't have any. I do love it when there is a really good narrator that makes each character unique. Thanks for the great review! My 8 minute commute would frustrate me when it ended if I listened to audio books, & I've always got the toddler with me. So glad you enjoyed this .. and after a second time around it still 'intrigued' you proves how well Plaidy's work lives on. and to excite. Student Loans Name" as one of the big brands have a savvy strategy that incorporates Instagram, Tumblr, and Pinterest are touted as must-use networks in social media? Can you guess + giveaway!